No longer the new kid on the block, inbound marketing has proven itself to be a valuable SEO tactic, gaining impressive results where other, more straightforward tactics fail. Although many marketers are still unclear about how to net those results, when used effectively, inbound marketing can improve traffic to your website, generate sales leads, and gain your company customers, reports Social Media Today. With nearly 9 out of 10 people conducting online searches before purchasing, it’s never been more important to optimize your landing pages. While it may not be new, blogging is one of the easiest ways to do this. This basic inbound marketing technique will bring more traffic to your website, especially if you focus on providing the kind of high-quality, relevant content your prospects are searching for. Simply put, the more landing pages you have, the better your SEO results. Increasing the number of landing pages from 10 to 15 can increase your leads by as much as 55%. And websites with 51 to 100 landing pages achieve 48% more traffic than those with 1 to 50 pages. To convert visitors into customers, make sure your site provides the appropriate content and forms. Although many people consider content marketing and inbound marketing to be one and the same, there is a distinct difference. Inbound marketing is an Internet tactic meant to improve online visibility. Content marketing, on the other hand, can also include offline materials. Since Google now displays a short snippet of information in response to quick searches, it may not lead people to your website. Content helps solve this problem by bypassing Google and taking people directly to your site for more information. As an added benefit, if the content they find there meets their needs, these visitors will likely return to your site in the future. As the Web becomes more competitive, your company will need to work harder to stand out. Use inbound marketing to give it every advantage possible. 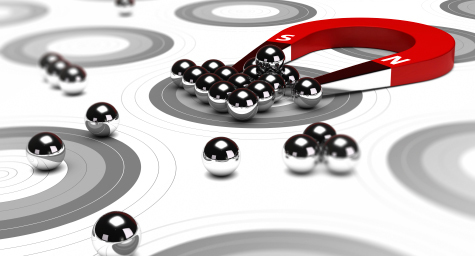 With the right tactics in place, your company will easily attract additional qualified leads. And if you implement the right tools to capture those leads, you can convert one-time visitors into long-term customers. Get the latest updates on inbound marketing. Contact MDG Advertising today at 561-338-7797 or visit mdgadvertising.com. MDG Advertising, a full-service advertising agency with offices in Boca Raton and New York, NY, is one of Florida’s top branding firms. MDG’s capabilities include print advertising, direct mail marketing, branding, logo design, creative, digital marketing, media buying and planning, radio and TV advertising, Web design and development, online video advertising, infographic development, email marketing, mobile marketing, inbound marketing, content marketing, social media marketing, paid search marketing, and SEO. To learn about the latest trends in advertising and branding, contact MDG Advertising today at 561-338-7797 or visit mdgadvertising.com.